When contemplating all the picky eaters of the world, I bet ants probably aren’t the first organisms that come to your mind. And yet ants and their food preferences are exactly what post-doctoral researchers Amy Savage and Clint Penick set out to study in New York City. Next time you’re in a big city like New York, take a break from looking up at the skyscrapers and look down at the ground. You’ll see what city ants encounter on a daily basis — an abundance of human food scraps: bits of hot dogs, chunks of pizza crust, candy wrappers, cheese curls, potato chips. 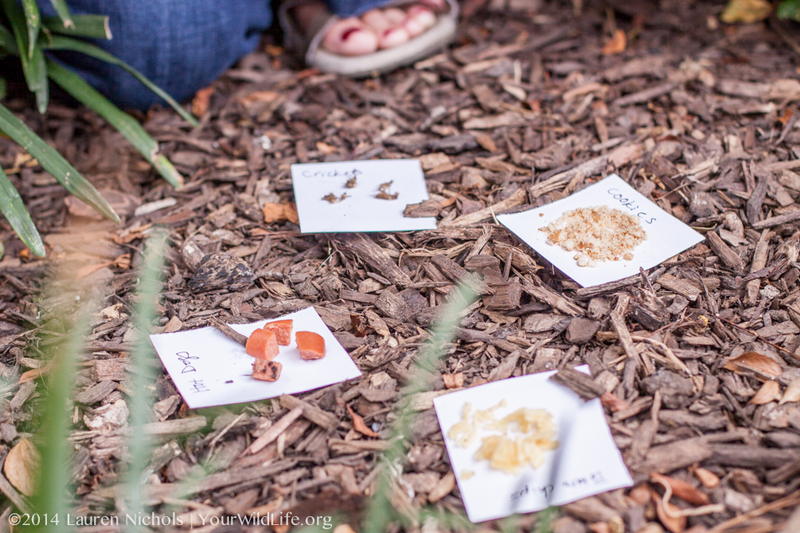 Amy and Clint wanted to know if city ants actually prefer the sugars and fats in these processed human foods over the more complex oils and fats found in the “natural” foods that ants encounter outside of cities? They set-up food preference trials along Broadway medians where they offered the ants different food options and watched to see what foods the ants liked best. 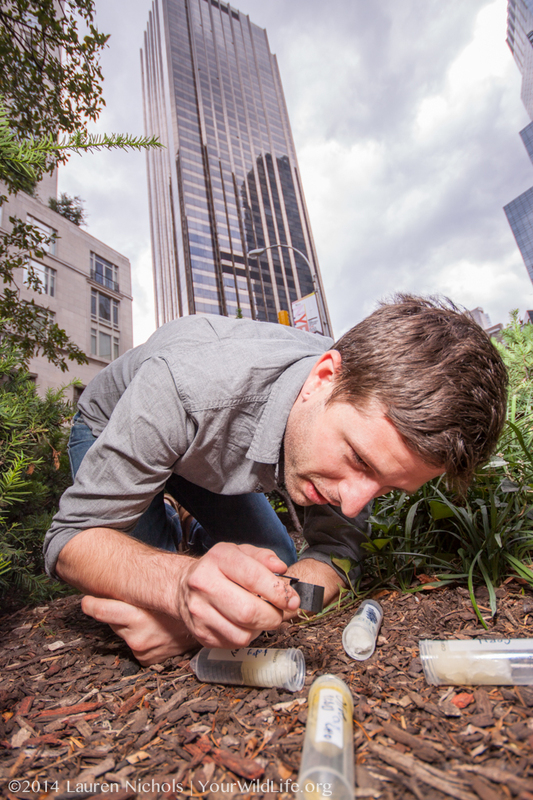 Read more about how Amy and Clint’s work is changing the way we think about ecology and cities in a recent profile of their research in The New Yorker written by Alex Carp. To see more photos from New York and from the lab, visit the Your Wild Life Flickr page. 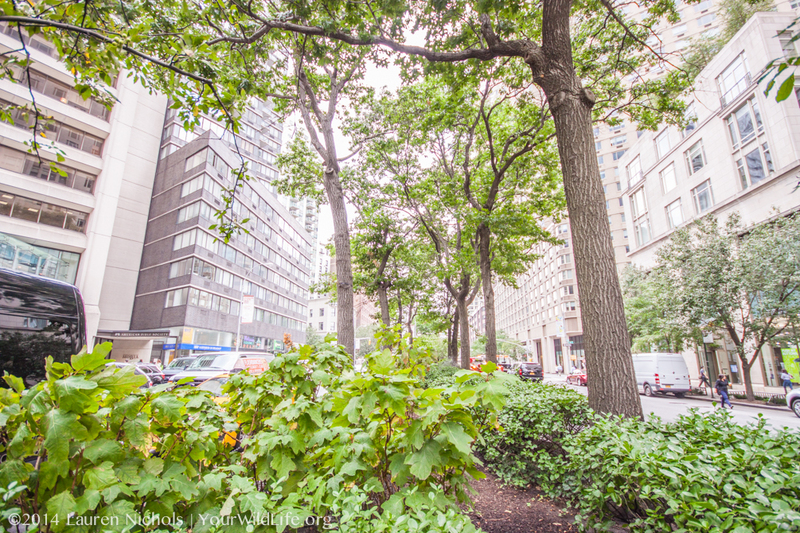 Post doc Amy Savage studies the behavior of ants living in medians along Broadway in New York City. Broadway and 61st street, New York, NY. 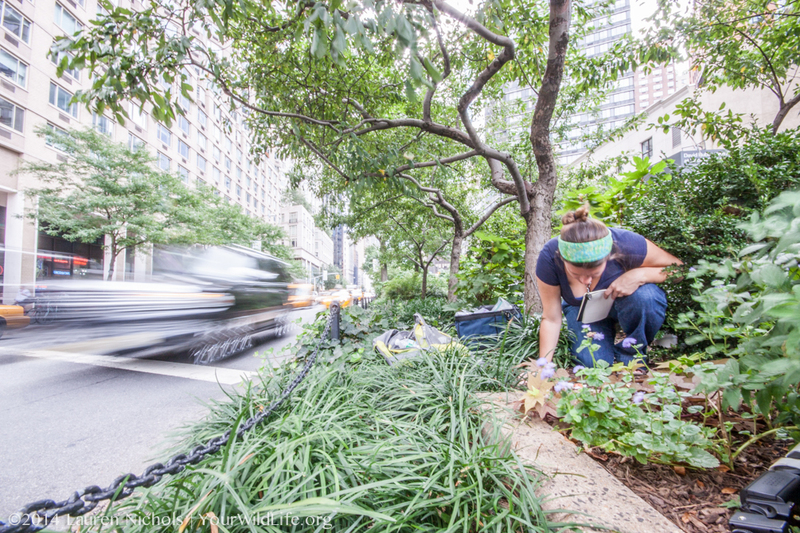 We often overlook the habitats we create for wildlife within our urban environments. 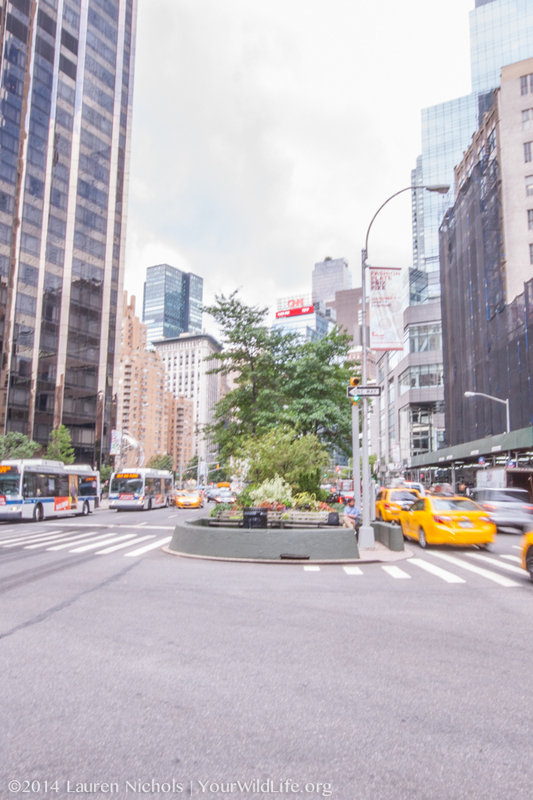 A median strip feels a lot like an island surrounded by a sea of concrete and swarming traffic. 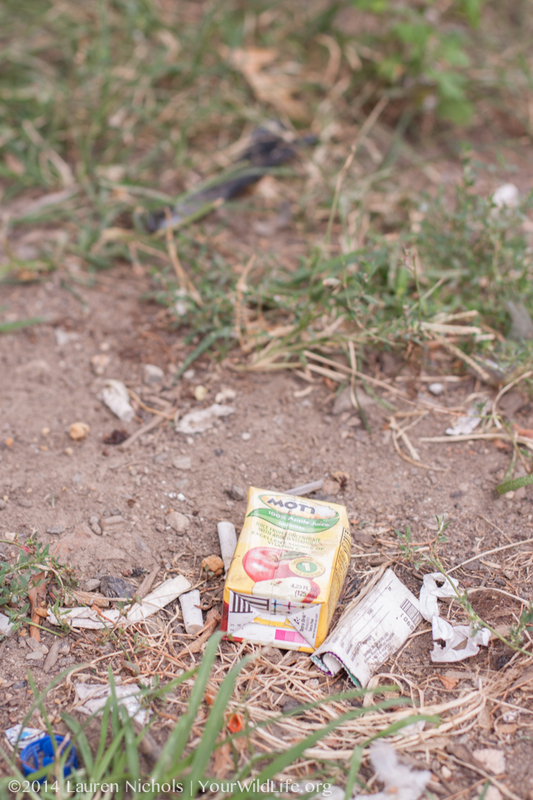 Human scraps provide a bountiful and seemingly endless supply of food for urban ants. Your Wild Life scientists are interested in how that abundance of processed foods affects ants and their food preferences. Although ants seem to do well on the processed foods (hotdogs, potato chips and cookie crumbs) that humans leave around, when given the option, city ants appear to prefer a more traditional diet of crickets.